Capt. 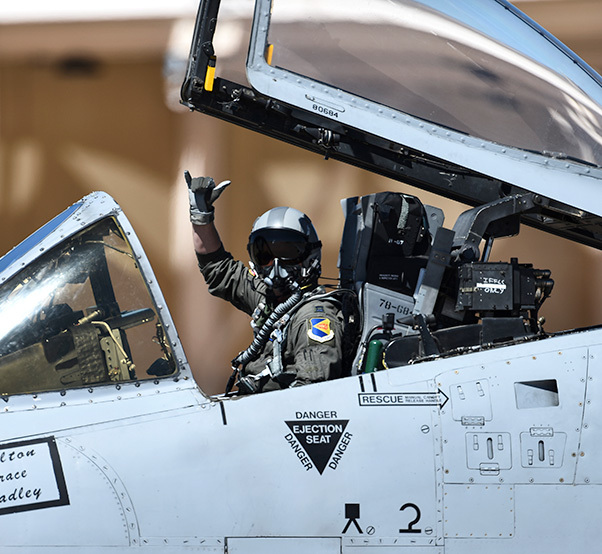 Cody Wilton, A-10 Demostration Team pilot, prepares to takeoff during the 2018 Heritage Flight Training and Cerification Course at Davis-Monthan Air Force Base, Ariz., March 4, 2018. During the course, aircrews practice ground and flight training to enable civilian pilots of historic military aircraft and U.S. Air Force pilots of current fighter aircraft to fly safely in formations together. 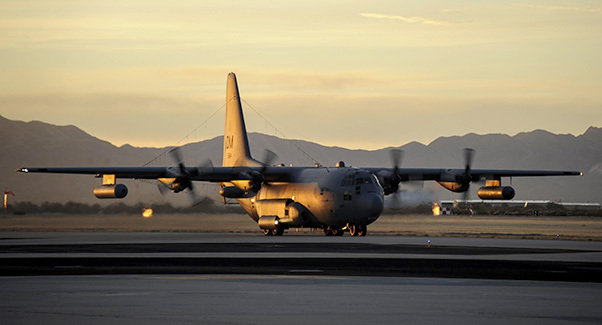 The Office of the Secretary of Defense named Davis-Monthan Air Force Base in Arizona the top base in the Air Force for the second time in six years. The base won the 2018 Commander-in-Chief’s Installation Excellence Award, which recognizes the outstanding and innovative efforts of the service members who operate and maintain U.S. military installations. 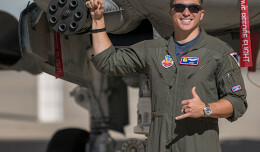 Davis-Monthan last won the award in 2012. Installations from across the Air Force competed for the award based on how well they achieve departmental objectives in several areas of installation management, including mission support, energy conservation, quality of life and unit morale, environmental stewardship, real property management, safety, health and security, communications and public relations. “This trophy recognizes 11,000 D-M Airmen who think, innovate and execute at an extraordinary level every day,” said Col. Scott Campbell, 355th Fighter Wing commander. 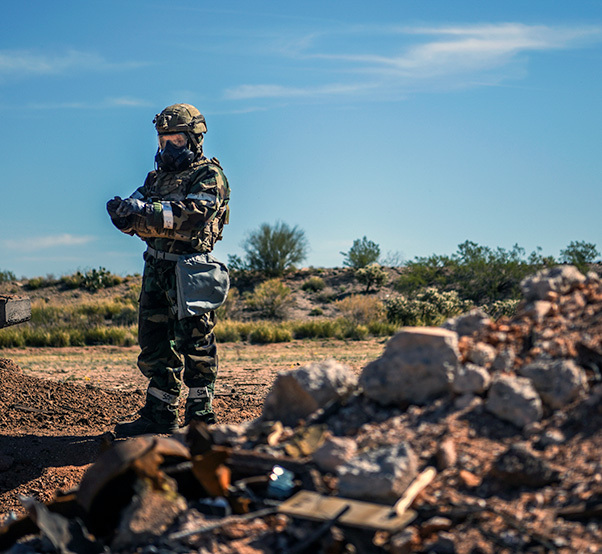 U.S. Air Force pararescuemen from the 48th Rescue Squadron fire non-lethal training ammunition at simulated opposing forces at the Northwest Fire District Training Center in Marana, Ariz., Jan. 20, 2018. The scenario was a part of Razor’s Edge 2018, a 2-week-long isolated personnel recovery exercise that was capped off with a 56 hour rotation of mission drops and execution. 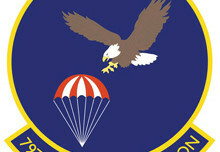 D-M is comprised of 34 unique mission partners that support four combatant commanders worldwide. Some of these operations include close-air support, combat search and rescue, airborne electronic combat, weather operations, and aircraft storage and regeneration. The base is well positioned to execute this variety of mission sets given its consistent weather, abundant airspace, proximity to dynamic training areas and adjacency to Tucson, Arizona, a city of more than one million people. These qualities allow units here to conduct year-round training events in the most realistic simulated deployed conditions possible. D-M will be awarded several accolades, including the installation excellence trophy and flag, and granted $700,000 for base improvements. Airmen were able to suggest improvements by filling out an electronic survey that let them select from a list of improvement options or add their own. 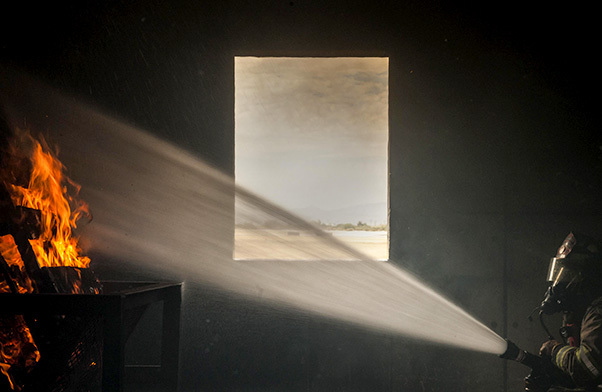 A U.S. Air Force firefighter from the 355th Civil Engineer Squadron puts out a fire in a burn room during fire training at Davis-Monthan Air Force Base, Ariz., Oct. 19, 2017. 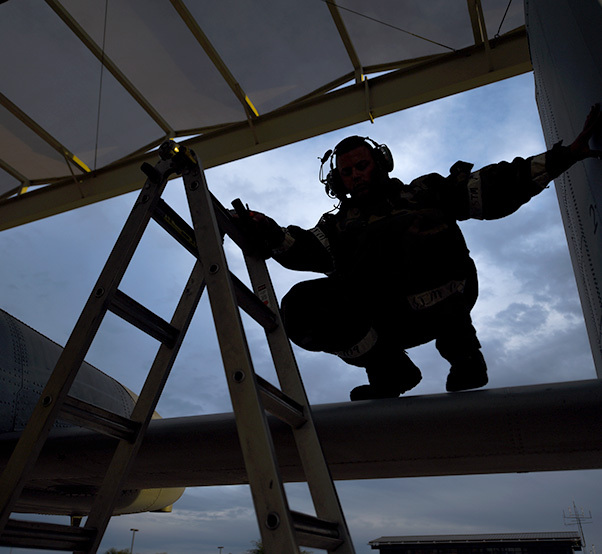 In addition to protecting installation assets, Air Force firefighters collaborate with and host training for local fire departments. A U.S. Airman performs a postflight inspection on an A-10C Thunderbolt II during the Bushwhacker 18-02 Cactus Flag exercise at Davis-Monthan Air Force Base, Ariz., Feb. 13, 2018. Cactus Flag is designed to ensure Davis-Monthan AFB is ready to deliver attack aircraft anywhere in the world. An EC-130H Compass Call assigned to the 55th Electronic Combat Group takes off from Davis-Monthan Air Force Base, Ariz., Jan. 10, 2017. Airmen from the 355th Fighter Wing deployed to Turkey in support of Combined Joint Task Force Operation Inherent Resolve, a multinational effort to weaken and destroy the Islamic State of Iraq and the Levant. Staff Sgt. 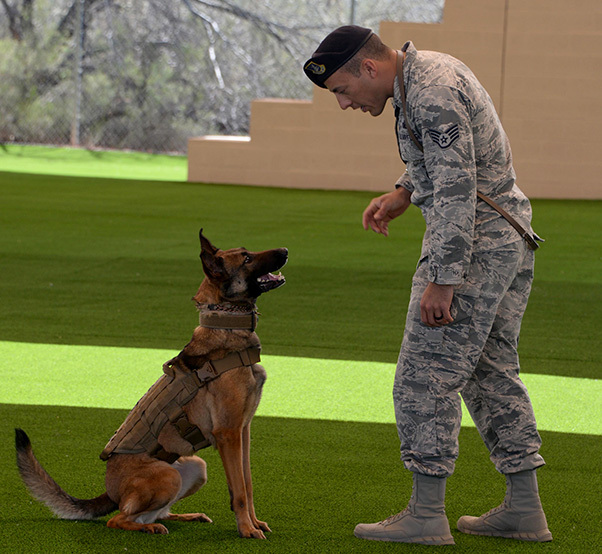 Carlos Orantes, 355th Security Forces Squadron military working dog trainer, conducts proficiency training with Ootter, 355th SFS MWD, at Davis-Monthan Air Force Base, Ariz., March 16, 2017. 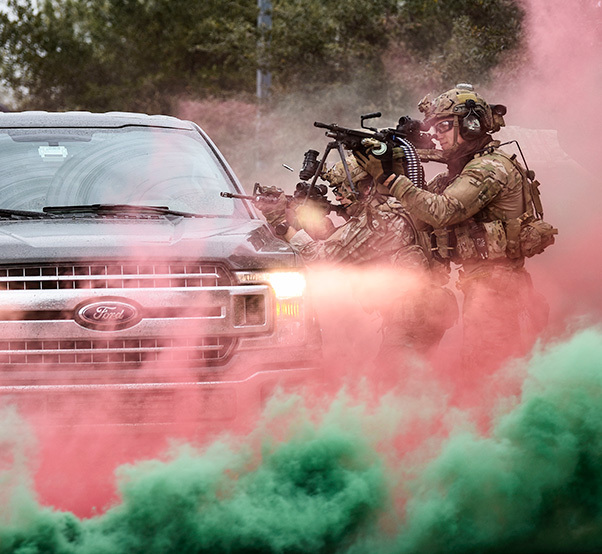 The 355th SFS recieved a new training facility with features that are beneficial in further enabling MWDs and their handlers to achieve mission readiness. 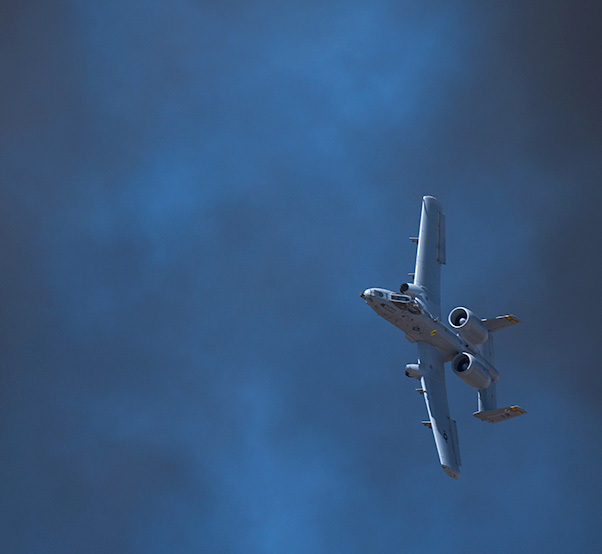 A U.S. Air Force A-10C Thunderbolt II performs aerial maneuvers during the annual Heritage Flight Training and Certification Course at Davis-Monthan Air Force Base, Ariz., March 3, 2018. Established in 1997, the HFTCC certifies civilian pilots of historic military aircraft and U.S. Air Force pilots to fly in formation during the upcoming air shows.